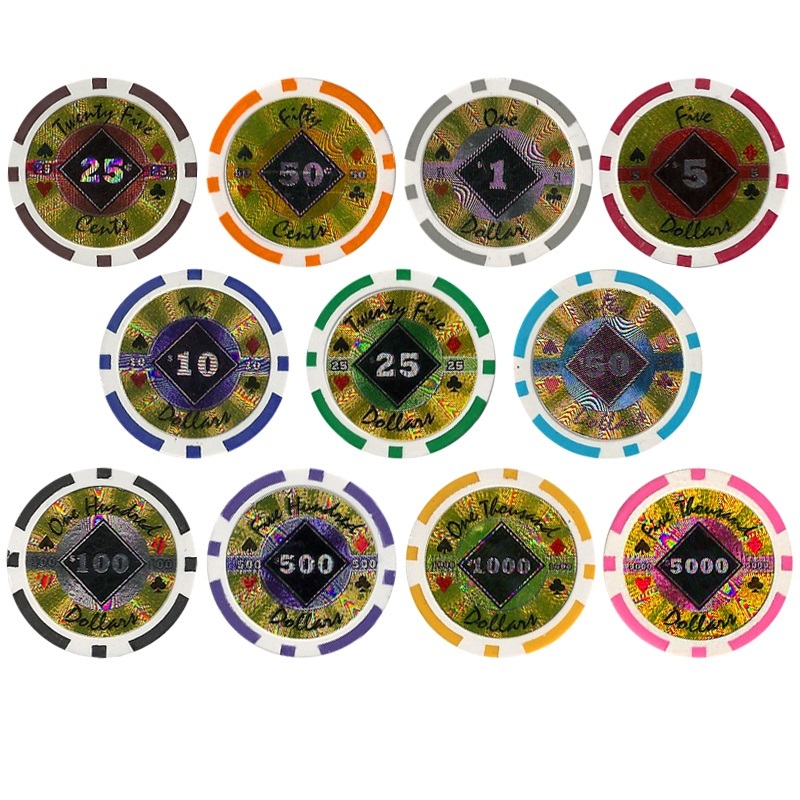 The bulk Black Diamond poker chips are a 2-color chip that is manufactured with a clay/composite material blend with a weight of 14 grams each. When you play with these chips, you will notice the quality feel and sound that these chips have. 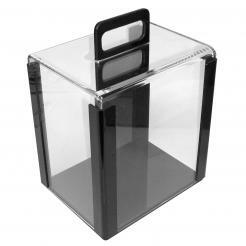 The chip graphics feature a large easy-to-read denomination inside of a Black Diamond. Not only is the denomination in number form, but it is also written in script form around the black diamond. 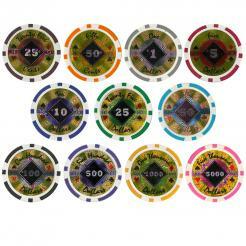 The Black Diamond bulk poker chips can be customized. You pick what colors/denominations you want to make up your bulk chip set. Just enter the quantity into the box next to the chip. Must be in quantities of 25 chips.